« Day 300 in Beijing: JILL AND I ARE MARRIED!!!! Day 301 in Beijing: Hook Hanger. The S shaped hook hanger in action. Or non-action. Jill and I were taking the bus down to Sanlitun Village and noticed this rather ingenious device. 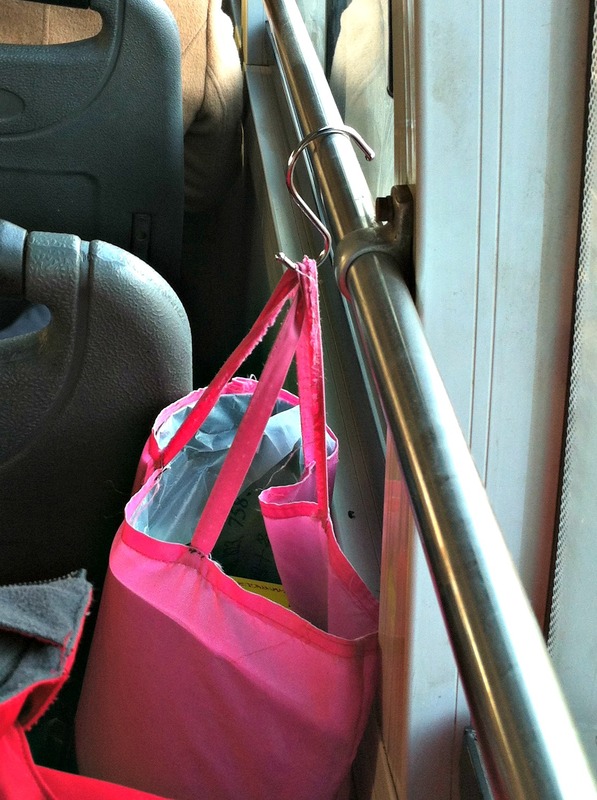 We thought it was quite smart to use this little S shaped hook hanger and be able to free oneself from carrying a bag on the crowded buses. It also allows a person to rest and not have to wear themselves out with heavy bags if they can’t sit down. The lady using it just popped it up, let it hang, and threw her bag on it. It was sturdy, strong and stable. Definitely something we might buy and use in the near future for our own travels around Beijing!